The Utility Administration Department provides assistance to all utility customers by setting up and processing payments for water, sewer, and refuse services. The department also sets utility rates that are reviewed annually by the city council. Electronic notifications via text message or voice/phone are available. We are here to provide excellent customer service to the citizens of Floresville. If you need assistance, please don’t hesitate to contact any of us. The City of Floresville offers a senior citizen discount of $3.00 to all customers ages 65 and over. To qualify for the discount, please complete the Senior Citizen Discount (Refuse) form and bring to City Hall for filing and approval. ID must be shown in the form of a driver’s license or other form of identification that has the same address as your service address. Extensions: after the 10th, but before the 20th of the month, you may request an extension for $20.00. Both bills, past and current, are due the following month by the 10th, no exceptions. Payments received after 5:00 pm on the 10th will be subject to 20 percent late fee unless the 10th falls on a weekend or holiday. 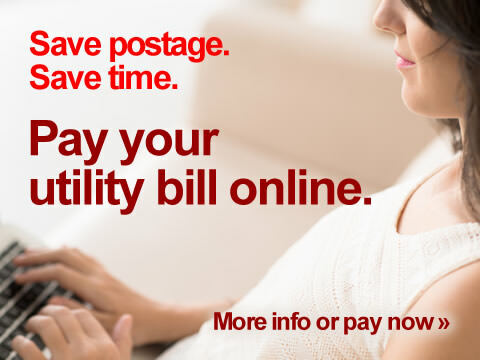 Bills are sent out by the 1st of each month, payment is due by the 10th unless this day falls on a weekend or holiday, then the bill is due the following Monday or next business day. All three services, including water, sewer and refuse, will be billed together under a customer account and is to be paid in a timely manner as established by these regulations. As per ordinance requirements, all three services will be billed if a livable house exists. In the case of a vacant lot, only water will be billed with no exceptions being made as long as the water service is being provided. Payments made after the 10th of each month will be subject to a 20 percent late fee and will be applied automatically to the total amount due. Payments must be received by 5:00 pm at City Hall prior to or on the day of the due date. Late notices are sent out by the 11th of each month or next business day, thus providing the customer with sufficient notice of disconnection on the determined final date, which will be the 20th of each month; unless the date falls on a weekend or holiday, in which case it will be the following Monday or next business day. Disconnections will begin on the 21st of the month or the next business day. A $25.00 service charge will be added in addition to late fees. Termination of service will not be issued on Fridays, or before the Holidays. Disconnection will be conducted the following working day. 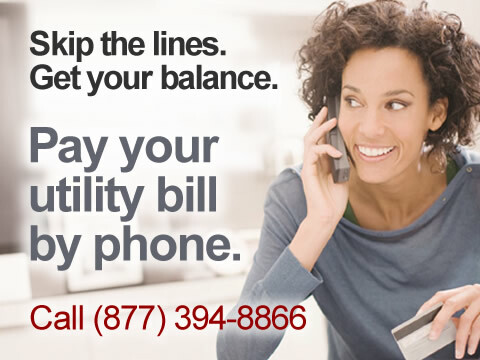 Partial payments will only be accepted on current bills during the month prior to disconnection which is subject to the late fee. Payments will not be accepted on delinquent bills. Payment extensions for current bills due will be granted for the 10th of the following month at which time customer agrees to pay entire balance due on account, both current and delinquent. All extensions must be obtained by account holder or spouse, in person, at City Hall. NO EXCEPTIONS. No further extensions will be granted after the services have been disconnected until full payment has been collected. Failure to pay by the 10th will result in disconnection of services and a $25.00 service charge will be automatically collected at the time of payment. A $20.00 fee will be collected at the time of extensions. Connection fees of $75.00 will be paid at the time services are requested and an account has been established. This fee must be paid before services can be connected. This fee is non-refundable and cannot be applied toward your outstanding balance. Accounts that have been disconnected due to a delinquent status have to pay an automatic $25.00 fee to have the meter reconnected in addition to regular service charges already owed and must be paid prior to the re-connection of services. A $35.00 transfer fee is charged when a customer account is moved to a different address and cannot be applied on the next bill. The transfer fee is due at the time of request. Accounts can be left open without the regular connection fee after transfer for a period of not more than seven business days from the date of request for the purposes of moving out and/or cleaning. A customer cannot have two open accounts without the proper connection fee after that time. A $35.00 fee will be charged automatically to all returned checks and must be paid before re-connection of service, as well as the total amount due at that time. All checks will be run through the financial institution only once. Any customer with a total of three returned checks at any time during the course of their account with the City, will be required to pay via cash or money order for future services, no checks will be accepted. Checks will not be accepted for returned checks, only cash or money order. Weekend services will only be provided in an emergency. Safety or leak situations will be handled during normal operating procedures. Service connections or delinquent re-connections will not, in any case, be provided to any customer during weekend or after hour service. All employees are prohibited to perform any such services regardless of situations that may arise or the person requesting such services. It is the policy of the City of Floresville to disallow any requests or orders made by the mayor, city council members, city officials, supervisor, or regular employees not in accordance with the normal established rules in the operation, billing or collection of utilities. All matters relating to the utility systems, under this method of operation, in the billing, collections, and the provision of service, must be properly authorized by the issuance of a work order from the Utility Department and collection of full payment has been secured in order to adequately control and maintain this public service. Services that are disconnected because of non-payment will be secured with a locking device. Any tampering with locks or meter will result in a minimum $50.00 tampering fee. It is unlawful for any person to tamper with, injure, or deface any hydrants, curb stop, stand pipes, or other city water system fixtures, or use or take from the City water system any water except in accordance with the rules and regulations governing such system, or use or injure any water pipe, or any other property whatsoever belonging to the City water system, except as permitted by the regulations of the city council. Any person violating this section shall be subject to a fee as set by the city council. Any person, either by himself or agent, and any firm, corporation, or other entity who violates any of the provisions of this chapter shall be deemed guilty of a misdemeanor and, upon conviction of any such violations shall be fined up to but not to exceed $500. Each day during which such violation continues shall constitute a separate and distinct offense. According to Texas Tort Claims Act (TTCA) #101.0215, the City is granted general immunity from claims arising from governmental functions as defined by TTCA #101.0215 which includes waterworks. At times the City experiences temporary water losses due to line breaks, line replacement or other conditions beyond the control of the City. The City is not responsible for any damages that result from these conditions. Emergency phone numbers for weekends, holidays and after 5 pm, please call (830) 391-3342, the Floresville Standby Crew for assistance.